Office Now gives a summary of one’s day at a glance. 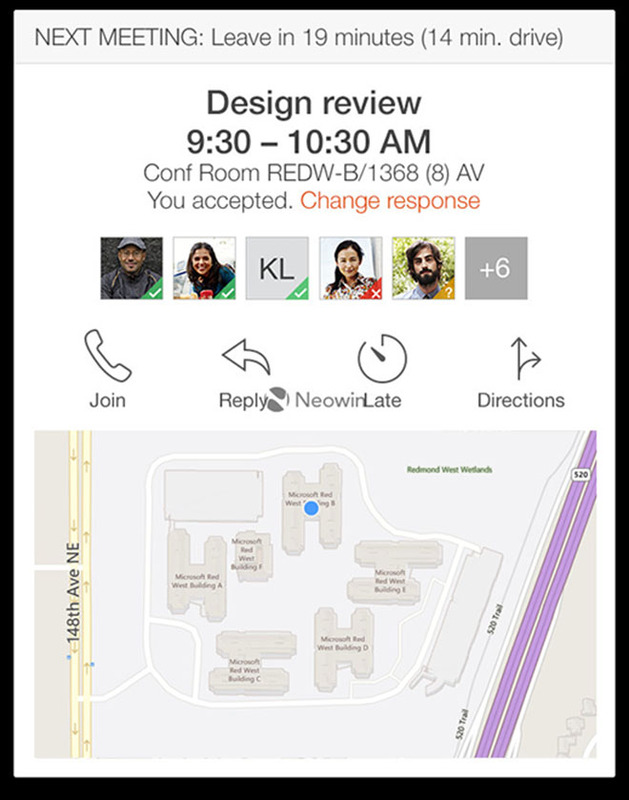 It lets users organize their routine by easily performing tasks such as schedule meetings, search for relevant emails, join a conference call, and even check Maps for directions to the meeting location. 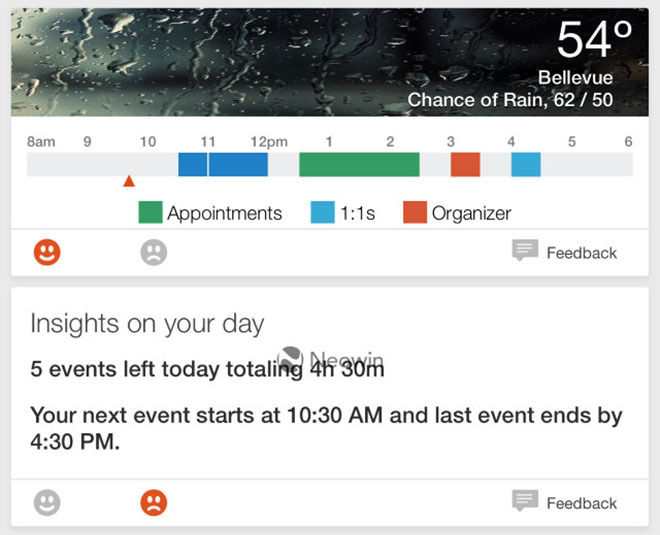 For each activity, Office Now offers a dedicated card such as Commute, Highlights, and Missed call among others, just like Google Now. Each card shares more than basic information – the Commute card for example will show you details about the traffic and estimated travel time. Even though Office Now offers similar functionality as Cortana, it is mostly a personal assistant for working professionals. The newcomer is more proactive in handling the user’s daily agenda than Cortana.